Rodimus is a brash warrior Autobot who has the makings of a skilled commander and honorable leader. Robot Mode: Rodimus is a repaint with a new head of the previous Combiner Wars figure Blackjack, member of the Stunticons. 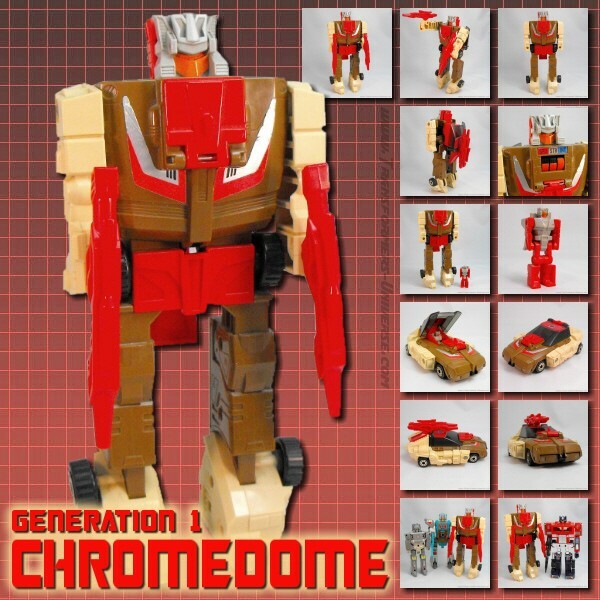 More importantly, he is a new figure for Rodimus / Hot Rod, one of the more iconic figures in Transformers history. And this figure looks... well, somewhat like him. I mean, the head is a pretty good match, but the rest? Yeah, he’s red and orange, he’s got a few flames on him (though not nearly enough), but he misses both his trademark wing-spoiler as well as his exhaust pipes on the arms. Okay, he’s got the spoiler as a weapon, but would it really have been that difficult to make it possible for him to put it on his back? Character recognition aside, Rodimus is a good figure for his size class. Articulation is good, everything holds together nicely, no problems. His sole weapon is his spoiler axe, which... yeah, not bad, but not particularly cool, either. So bottom line for the robot mode: not bad, but not really rocking that Rodimus vibe, either. Alternate Mode: Unsurprisingly Rodimus transforms into a red sports car with flames on the hood. At least in this mode the resemblance to the usual Rodimus / Hot Rod car mode is pretty strong, as the spoiler is in its proper place and the car as a whole looks sufficiently fast and flame-y. Not much else I can write here. No visible robot parts, everything folds together nicely, a good vehicle mode for the size class. No complaints. Combiner Mode: Rodimus becomes the chest plate for Optimus Maximus (or any other combiner using the Motormaster/Optimus mold as a torso). It’s basically the car sideways with the spoiler at a 90 degree angle. See the upcoming review for Optimus Maximus for more on the combiner. Sticker Upgrade: Reprolabels released a sticker set for Combiner Wars Rodimus to make him more flame-y. It’s a definite improvement in my book, making the figure look a whole lot more like Rodimus / Hot Rod than before. Nicely done. If you buy the figure, you should also get the stickers. Remarks: Well, here is the thing: Rodimus was not part of the Combiner Wars in any way, shape or form. In the comics he was off on the Lost Light, never looked remotely like this, and certainly never combined with anyone. Which brings me directly to my verdict of this figure: unnecessary. It’s not bad, it combines, but it’s not really necessary, neither as a part of the combiner nor as a new figure for Rodimus / Hot Rod. So bottom line here: only for die-hard Rodimus fans or people wanting him as Optimus Maximus’ bra.